Fate would have it, after my father-in-law's 70th birthday, it was my dad's 70th as well. And of course it called for more eating! He really didn't want anything big and in fact, wanted something a bit more healthy. So we gathered up the immediate family (which would be me, Viv and the kids) and planned on trying out Osamu Sushi in Coquitlam. Widely regarded as one of the best Japanese restaurants in the Tri-Cities area, it seems that every time we try to eat there, something gets in the way. This time, they were booked up solid and no tables were available until late. With kids in tow, that wasn't an option. 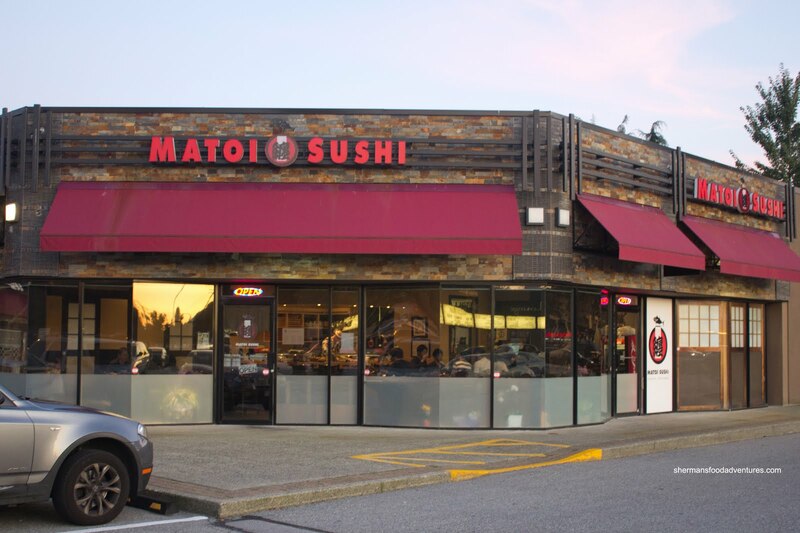 So onto plan B, we went to another popular Coquitlam Japanese restaurant - Matoi Sushi (which is Japanese owned and operated). Located in the same plaza as Hon's and White Spot, there is ample parking for those who care (I do!). 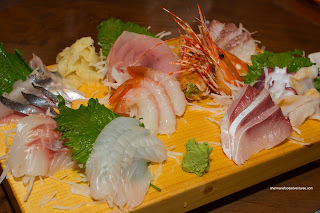 Seeing how it was my dad's birthday, we decided to get the Chef's Special Sashimi combo which boasted many different types of fish including hamachi, tai, tuna and skipjack tuna among others. As you can clearly see, the sashimi had a nice sheen and looked fresh (of course as fresh as previously frozen fish can get). In general, nothing tasted amiss and in fact, tasted very good. The preparation was spot on while the textures pleasant. 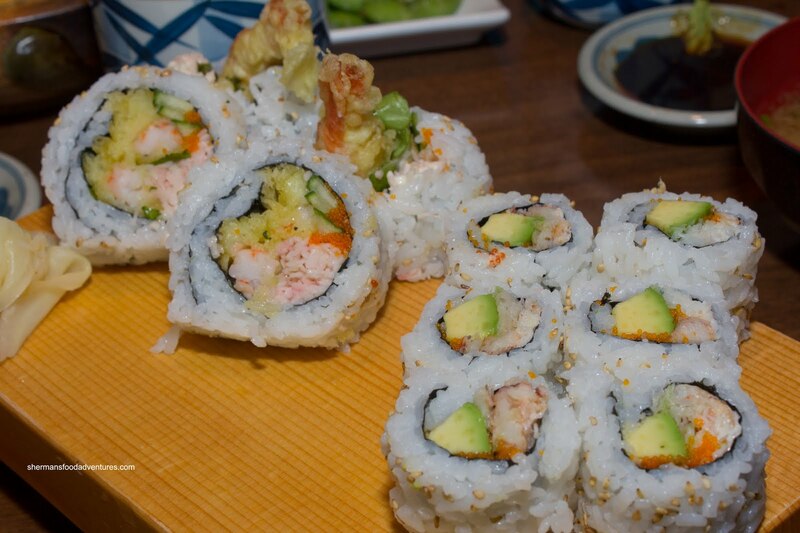 Next up were 2 maki rolls: Dynamite and Real Crab California. Honestly, I actually prefer imitation crab meat over the real thing when it comes to sushi. It just has more flavour. Sure, it is not as valuable as real crab meat, but that is not the point. One thing I will concede is that real crab meat has a much more pleasing fluffy texture. As for the sushi rice, I thought it had a pretty good consistency. Moreover, it exhibited nice hits of vinegar and sugar. 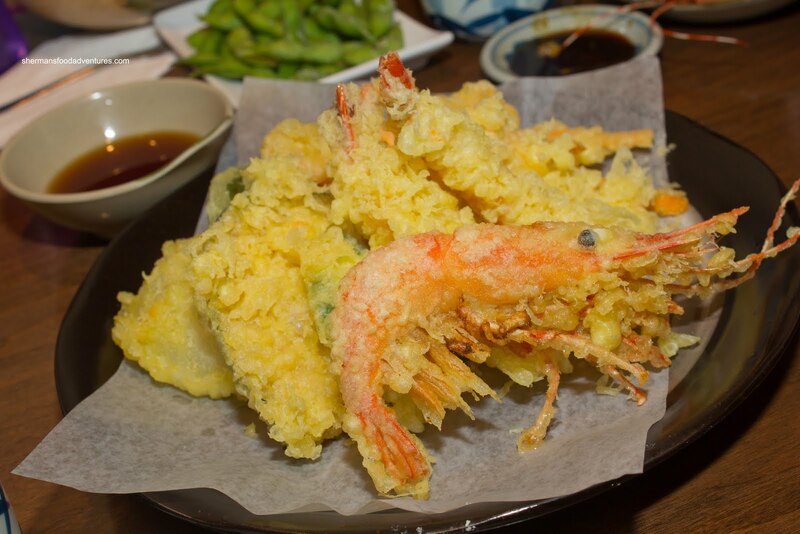 Moving onto some cooked items, we had the obligatory Deluxe Assorted Tempura which featured a fried whole spot prawn. Impressive-looking while not exactly easy to eat though. 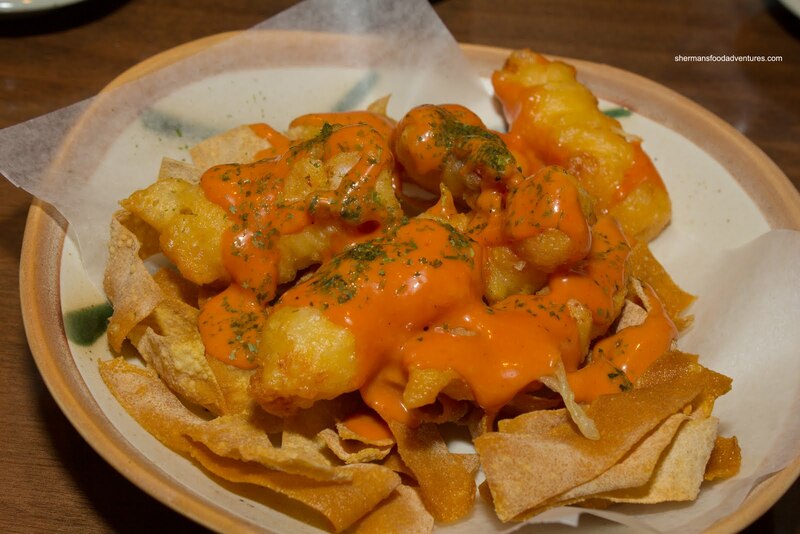 I found the batter to be slightly excessive which became more of an issue when the tempura cooled down. On the inside, it was no longer crispy. However, when eaten right away, there were no problems. Since we already had tempura, it was a bit repetitive to order the Ebi Mayo. I did it anyways because it happens to be one of my favourite dishes. I could eat so many of these accompanied by a cool beer! I wasn't totally convinced with this version though. The ebi were coated with far too much tempura batter. It reminded me of something I'd get at a Chinese buffet. Too bad really since the ebi had a nice snappy texture and the chili mayo was nicely flavoured. Finally breaking the yakiudon streak, the kiddies agreed on a Oyako Don rather than fried noodles. Thank goodness! Guess who usually ends up finishing the noodles when they change their mind? Just call me the trash can... 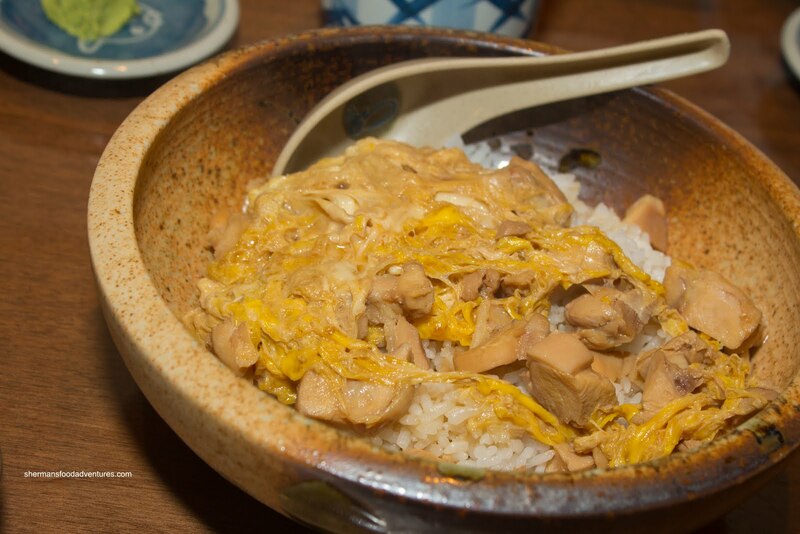 This was a fairly decent portion consisting of moist chicken with egg. We felt that there was just the right amount of "sauce" which penetrated all the way to the chewy rice. It was on the sweeter side and could've benefited from a bit more soy or less sugar or mirin. 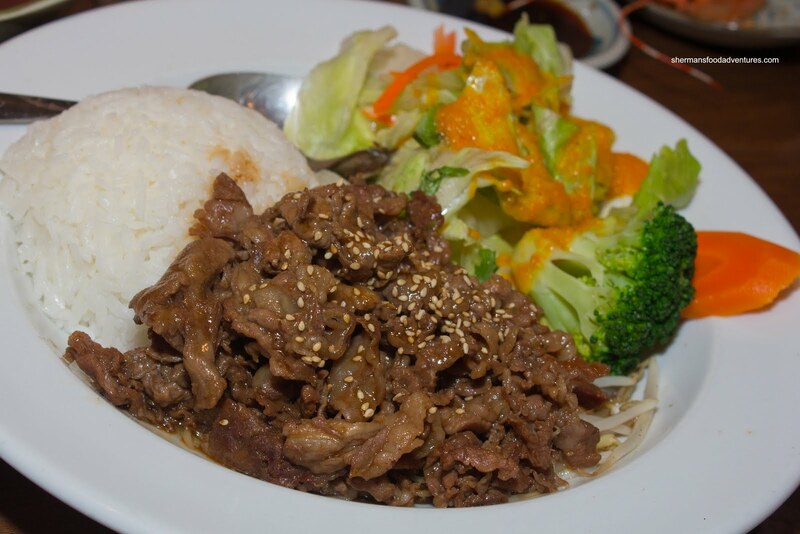 Then for no apparent reason other than for diversity, we also had the Teriyaki Beef. Little did we know it was not served a la carte and also came with rice. Don't you hate it when that happens? If we had known, we would've ordered something else. No matter, it was not bad, if not a touch dry. On the positive side, it was not doused with an obscene amount of syrupy sauce. In that respect, this was actually not too bad. Not sure what possessed me to order the Oden other than pure curiousity. 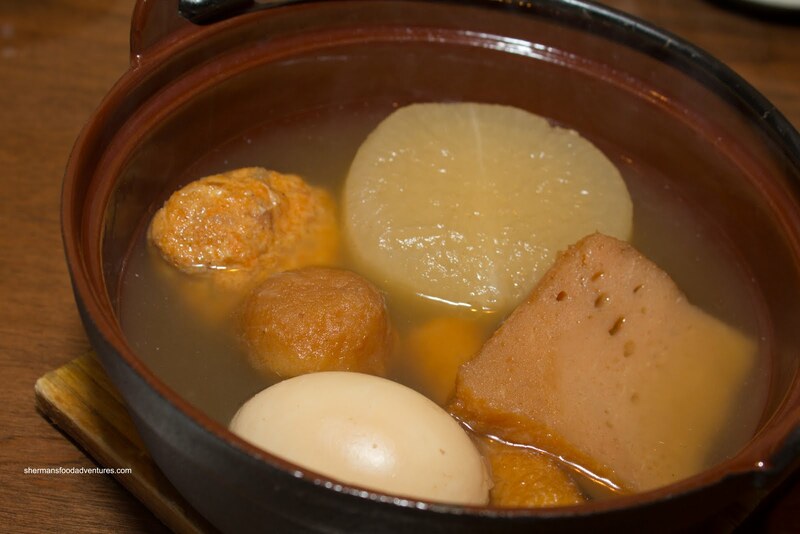 You see, oden is merely a collection of boiled items such daikon, fish cake and eggs in a soy and dashi broth. Nope, nothing too exciting or bursting with flavour either. Mind you, I like Chinese hot pot and there are some similarities... Well, there was not much to say about the oden really. The broth was very light, seemingly missing the soy. 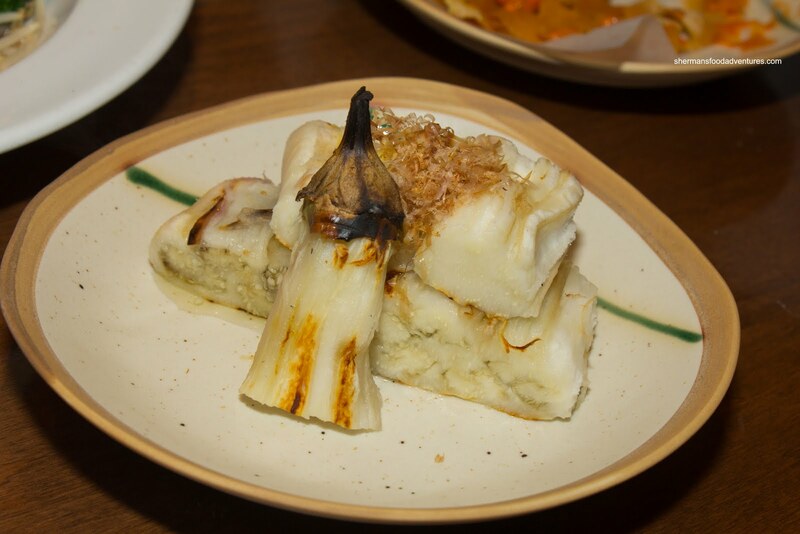 The daikon was cooked nicely being soft while not falling apart. The fish cake was not bad, but one of the fish balls had a weird texture. With most odens, this was served with a side of Japanese mustard which added the necessary kick to the mild ingredients. On the topic of mild, Japanese food is generally pretty balanced. So it comes as no surprised that the Grilled Eggplant was delicate. Much like the one I had at Miko Sushi, this one was soft, yet not mushy and very lightly seasoned. Not particularly my cup of tea, yet I could appreciate the effort it took to prepare eggplant in a way that it borders on mush while not being so. Although not perfect (and what is really), our meal at Matoi was actually pretty good. I would say it gives Fuji Sushi a run for its money when comparing one authentic Japanese restaurant to another in Coquitlam. We thought the slightly higher prices were fair for the portion and quality of food. Furthermore, the service was quite good. They made sure we had enough tea and always came by to clear our plates. The place was busy throughout our meal, so I guess that is at the very least, a good indication. I like their Chawanmushi. It's so silky and smooth. Some places overcook their chawanmushi and it tastes horrible, but this place really knows how to steam it properly! I wonder if this place is related to the Matoi Sushi inside H-Mart in Downtown... Everything looks too similar! @mbsunshine Oh I didn't get to try their chawanmushi! Next time!